Our Presenting NLP Course covers the key aspects of effective presentation. It is perfect for confident people who want to develop their skills further as well as for nervous people who need to be at ease with public speaking. This NLP course will teach you how to address people clearly, confidently, and with influence. It is part of our suite of company-based courses and is designed for professional trainers and people who have to present regularly as part of their job. Individual NLP training is also available from Business NLP Ltd. Complete the on-line course contact form. The ability to present to groups, easily and confidently, is probably the most important skill in business today. Getting your message across to a large number of people and influencing them to take action is important in many roles, including sales, management, consultancy and HR. People who are eager to present to groups of colleagues or customers will always have more career opportunities than people who avoid being asked. As in business, the ability to stand up and address a group of people easily, confidently and with influence brings many new personal opportunities. After taking this course, you will find it much easier to speak at weddings and other functions, be able to say what you really mean at social occasions, or perhaps explore a hobby on the stage! Using NLP tools for group change. Structuring your presentation to achieve maximum effect. Plan outcomes for your audience. Add impact with presentation aids. Engage and motivate the audience. Get the audience to take action. Manage your state to maximise your impact and influence. This master-class and the accreditation process is for people with NLP practitioner accreditation who are committed to reach even further for heightened human excellence. 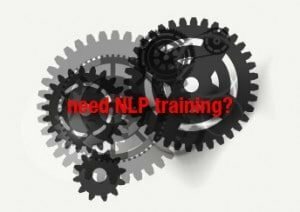 As with all NLP courses available through PPI Business NLP, you will find a safe environment to open your mind, and explore and practice new approaches and techniques. This course requires that you commit your attention and energies fully; people who aren’t able to commit will limit their own potential with NLP, and hinder the growth of other participants.